All I knew about Joomla! is that it is a free open source content management system. Having Microsoft background, I could relate it with Sharepoint. I wanted to know more about it from my team but they wanted me to have my hands on it and let them know how I felt about it. Well, I guess they wanted to avoid my ânew-to-Joomla!â series of questions. :) They indeed wanted to convert this situation into an opportunity to find out the expectations of a new user with a joomla! website. So, I planned to explore the Joomla! world and come up with a series of blogs. Iâll share my thoughts and findings as I go on exploring. So, stay tuned and here is the first one. How will my site look to my audience, etc. 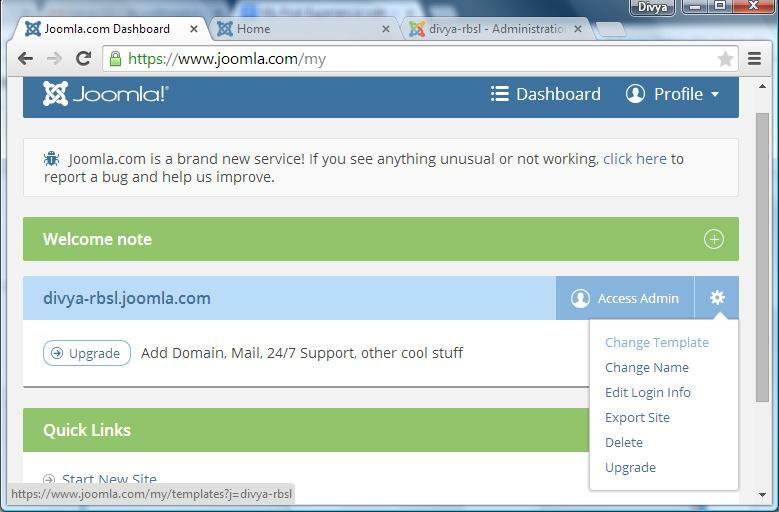 Since Joomla.com is a service that hosts Joomla! based websites, I could do all my experiments without doing the plumbing job. I need not worry about setting up and configuring the server, creating website, managing access control and hosting website on the server. Wow! that saved a lot of time and efforts in my initial learning. Creating Website - This was simple and fast. It needed registration on Joomla.com website. All I needed is the subdomain name i.e. the name I wanted for my website, email ID and password. I received an email with a link to click for email ID verification. And that is it, my website was up and running. After registration, I could also access the website dashboard and admin console. Dashboard offers high level website details and provides options to modify those like profile details, changing template, subdomain etc. 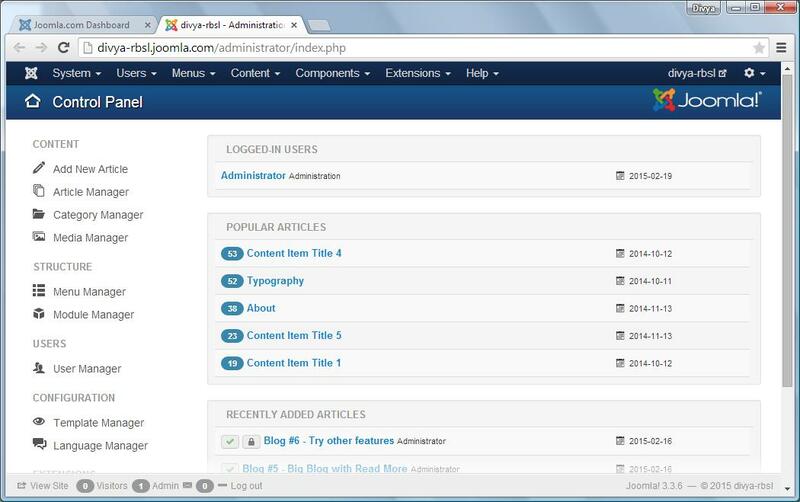 Admin console is accessible through dashboard. 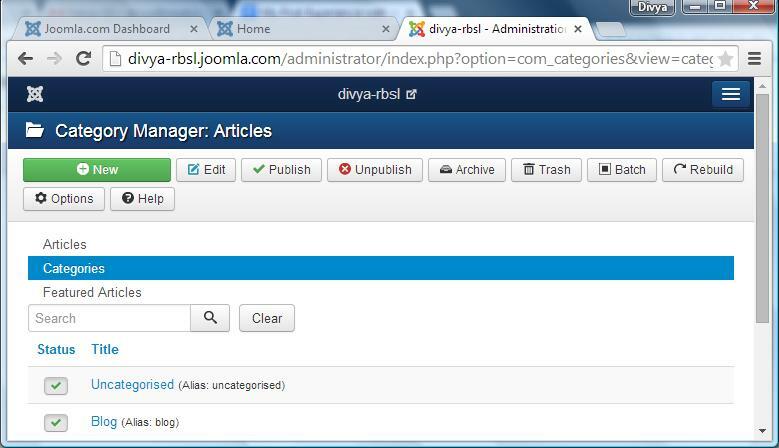 The admin console lets user explore concrete details of the website and add/update/delete those. Choosing Template - Next, I had to choose a template to decide the look and feel of my website. There are four templates available to choose from for three template types each viz. Blog, Corporate and Personal. I can choose blank template or with sample data. The warnings shown when applying a blank template or with same data were quite appropriate and guiding user well on their selection. The choice of template is very limited over here and I did not find any way to personalize the template. 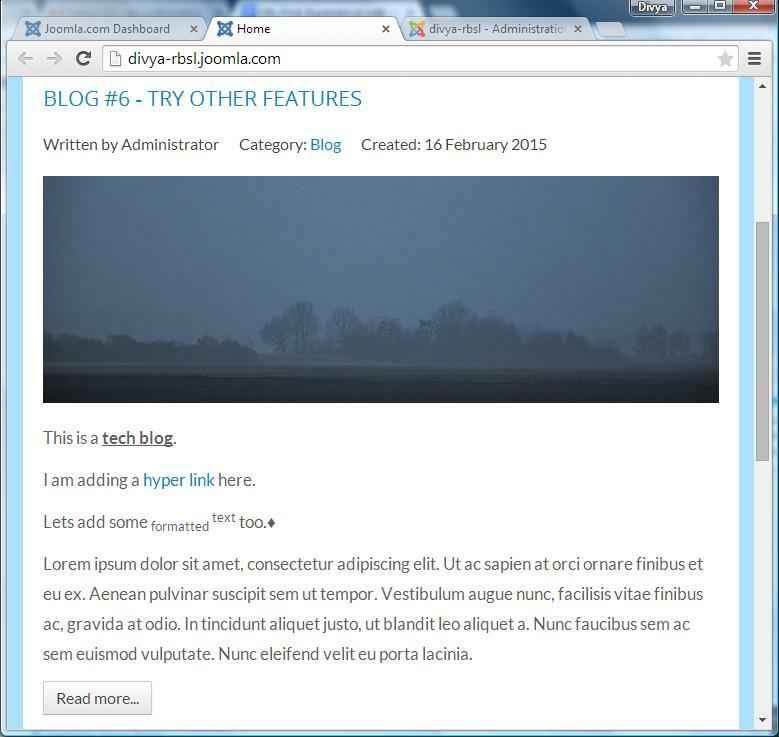 Adding a New Article - Adding content to the website is done by adding articles. It is quite easy with good WYSIWYG editor. I could add text, format it, add images and create a complete article the way I wanted to. Properties of the article are categorized through various tabs which makes it easy to find and update one. Below is the snapshot of a dummy blog I had published on my website. Adding Category - Each article has a category associated with it. 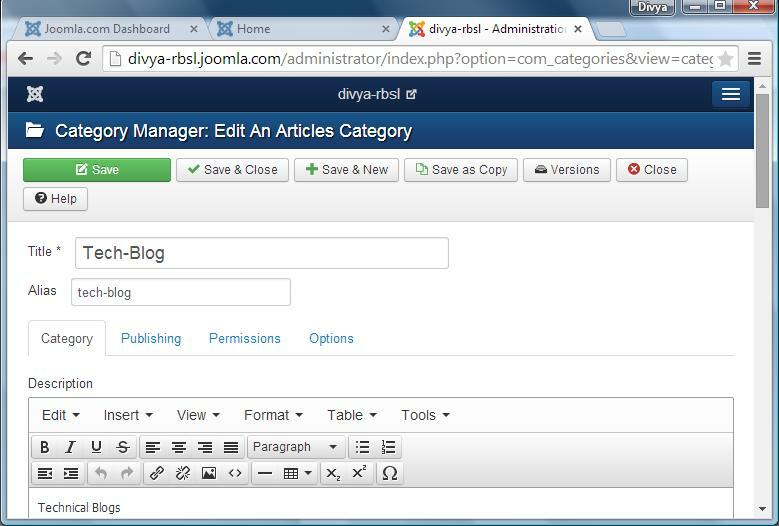 I had chosen a template with sample data so I already had a category named âBlogâ in category manager. When I wanted to publish an article with category set as `uncategorized`, it did not appear on my website. I changed it to `Blog` and it worked fine. 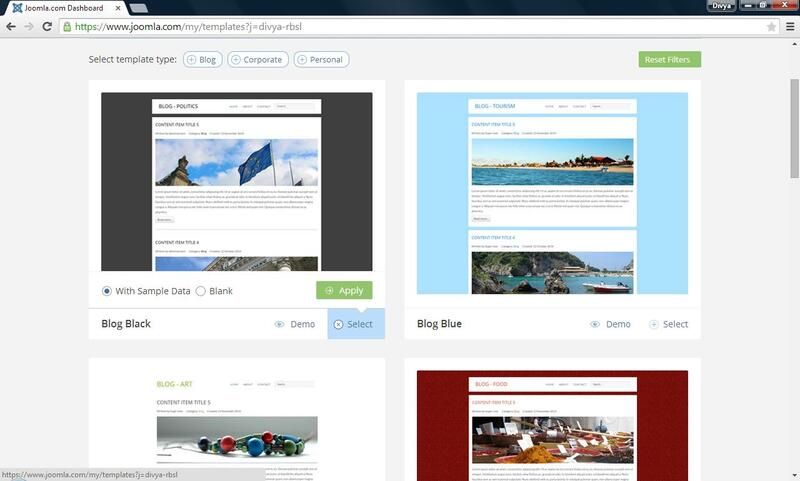 I added few more categories like Personal Blog, Tech Blog and assigned those to few articles. But those too did not get published on site. I could not figure out what category was meant for so, I parked this for later and continued. Changing Template - I switched the template I had used with a new one and it was all set again with new look and feel. Changing Subdomain Name - I quite liked this feature. There may be situations like rebranding, mergers and acquisitions, change in ownership, or reimaging when website name needs to be changed. I just had to give a new name and it was all set with new URL. Miscellaneous - Apart from these I also found that there are many more options available on the dashboard like changing the profile information, upgrading to a paid service with support and more features, exporting and deleting the website etc. The website contains documentation on how toâs and various step by step tutorials. The admin console also offers lots of configurability and extensibility options like managing users, groups and access levels, setting up global configuration, managing components and extensions which I am yet to try out. 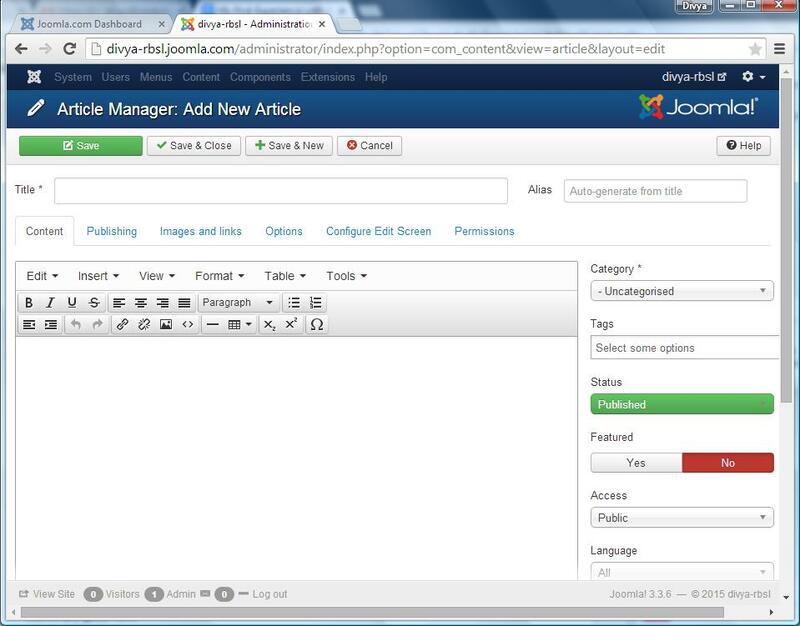 To summarize, my first hands on experience with Joomla.com was quite impressive and promising. The service offers a great deal of ease to its users with moderate level of customization. The UI of dashboard and admin console is clean and responsive. The number of templates available to choose from is limited though, which may not fit well for needs of a wide range of users. 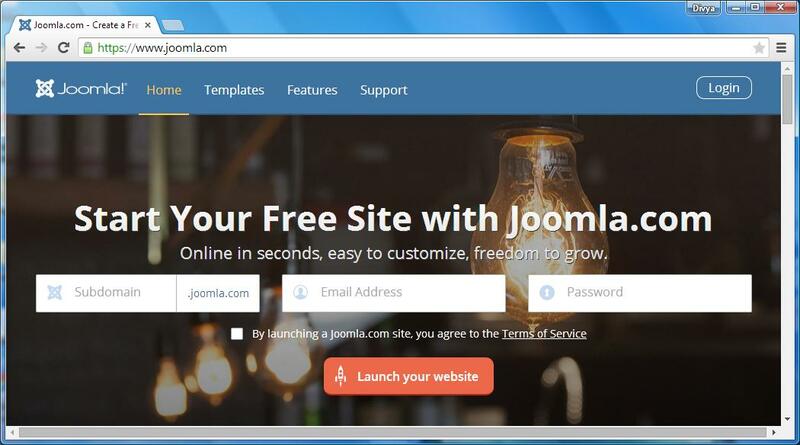 Since the low level website setup details are abstracted by Joomla.com service, the users can concentrate better on their business details and content. 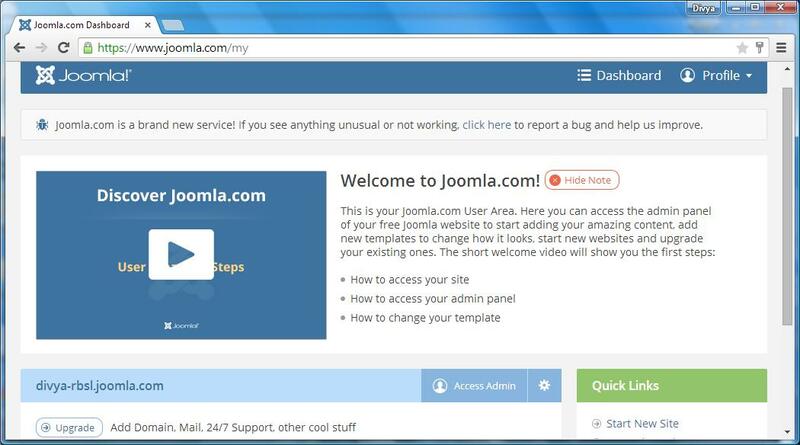 As a new user Joomla website intrigued me enough to explore it in greater details. Keep watching this space to be my companion on voyage to Joomla! Do share your experiences with me by leaving comments. Your suggestions and comments are most welcome.